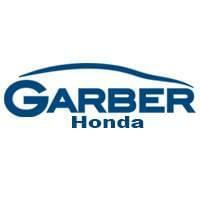 Here at Garber Honda we understand the importance of not only choosing the right model, but also the best way for you to acquire your next vehicle. The choice between leasing and financing can be a complicated one without the right information. We have listed some of the benefits of leasing and financing through Honda Financial Services. We hope this helps you to make the decision that is best for you and your family! One of the biggest advantages of a lease is that it does not usually require a substantial down payment. In many states, you can even pay the sales taxes as part of your monthly lease payment, rather than in a lump sum. Your taste and preference may change, and a short-term lease makes it easy to drive a new car more frequently. Additionally, you may have needs for a larger or smaller car in a few years, and a lease makes it easy to plan for such changes. You don’t have to worry about resale value. If your car depreciates more than the estimated residual value in your lease contract at full term, you can turn it in at the end of your lease term. But if it’s worth more, you can buy it and keep it or resell it. A lease gives you an option. Ownership can instill a sense of pride. It can also build equity. Payment by payment, an owner’s equity may increase. This is important to consider if you drive more than 12,000 to 15,000 miles per year.